What is up, watchfam?! 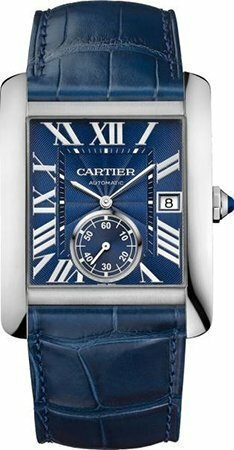 Today, we’re going to get into the major model lines found under the broader “Cartier Tank” umbrella. 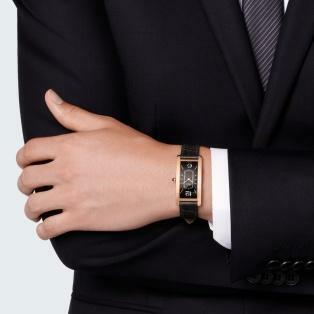 The Tank Solo offers a version of the classic Tank design as an entry-level watch using modern techniques of cost reduction (i.e., mostly quartz or off-the shelf mechanical movements) to give prospective buyers an entry to the line at a price that is, rose gold models notwithstanding, priced between $2500 and $3700 USD. Movements aside though, the Solo is still a Tank in every conceivable way, and as such, is definitely a viable option for those looking for a classic, iconic dress watch with heritage, and also a budget. 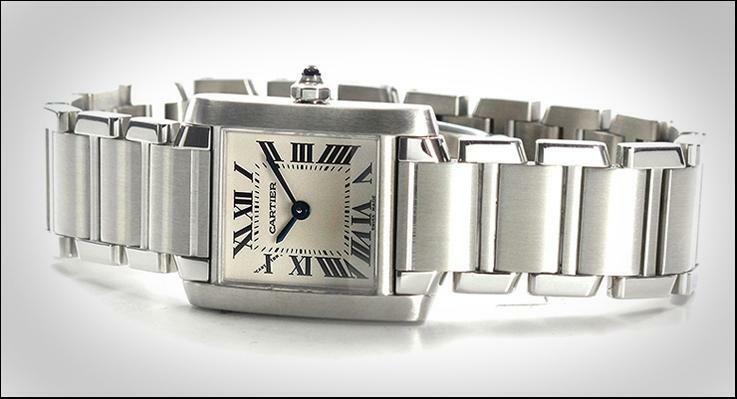 The Cartier Tank Cintrée is one of the more unique models in the Tank family. Impressively long and slender, it speaks to the ultimate kind of dressy elegance that the Tank has always, on some level, stood for. By being slim in diameter and thickness (23mm wide, 7mm thick), the Cintrée offers a watch that, in many ways, almost makes telling the time more of a chore than not, and certainly not something relating to a precise science. 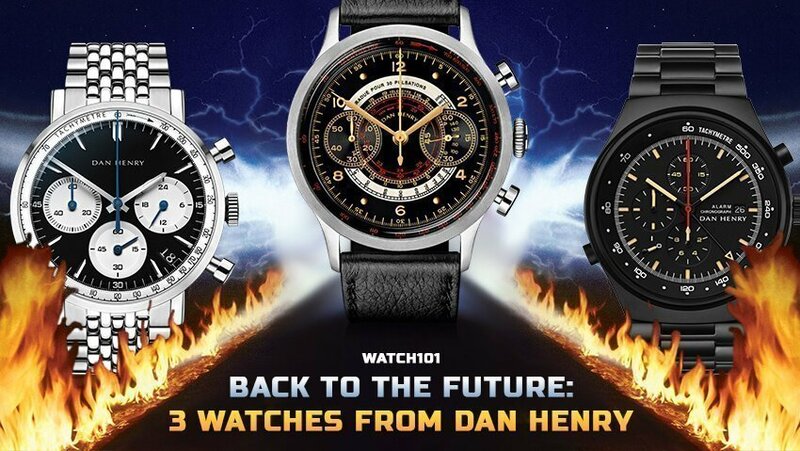 This is the ultimate special occasion watch in that way, especially given the only offerings being in precious metals. For those situations when the time is only slightly relevant, the Cintrée is perhaps the perfect companion. 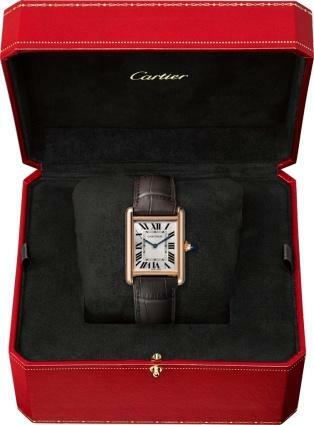 The Tank Louis Cartier is often considered to be the definitive variant of the Tank. It features the iconic Tank design that is also seen in the Solo, but done to a much higher level, and featuring the in-house Cartier manual winding caliber 8971 MC. According to Cartier themselves, this is the model that Louis Cartier wore (hence the name), and has become the symbol of the brands horological contributions ever since (despite the Santos Dumont being the actual first purpose built wristwatch, and also a Cartier innovation). Regardless, when you think “Tank,” this is the one you think of most likely, and for good reason. The Tank Anglaise is one of the funkier models in the Tank family. Fundamentally, it is exactly the same as your standard Tank Louis Cartier in design with one major difference: the case. The case, as the picture above shows, is extended on the right hand side to completely enshroud the crown, a design choice made to provide a sort of ultimate symmetry to the case design that a crown sticking out simply can’t achieve. This sort of shroud over the crown it only on the top side, though, as the underside is open to make adjusting the crown a nearly identical experience as it would be otherwise (this is aided by a cutout in the top of the crown side of the case that allows for grip on the crown in the winding position to make hand winding just as seamless). Overall, not a watch that is particularly revolutionary, but still a creative version of the Tank nonetheless. The Tank MC, I’ll confess, is my personal favorite, specifically this blue variant seen above. This one sort of gives off the impression of the love child between the Journe Chronometre Bleu and the more standard Tank Louis, but beyond that, it’s just an impressive looking piece. 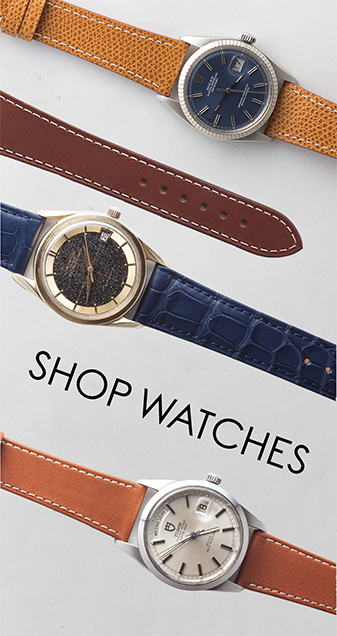 Looks aside, the MC runs an in-house automatic caliber, the 1904-PS MC, further setting it apart from the Louis, which is a manual wind watch to keep with tradition. 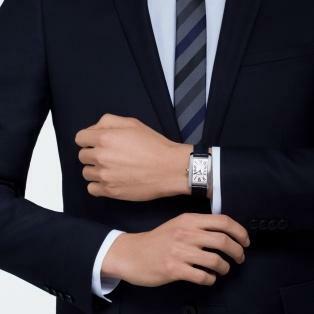 Cartier themselves call the MC collection a “specifically masculine watch,” in keeping with an effort to make the Tank accessible to anyone who might want to wear one, but might well be put off by the piece’s traditionally smaller size. It’s definitely a big one on the wrist (I’ve tried it on a couple of times now), but in much the same way was the TAG Heuer Monaco makes the bulky, squareish shape work, so too does the Tank MC. The Tank Francaise is a model that always felt kind of out of place to me. 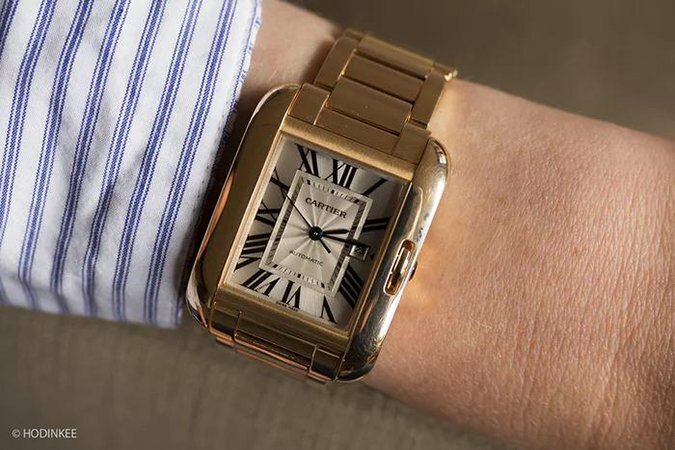 It is, at its core, another attempt by Cartier to update or otherwise offer a new twist on their classic Tank, of course, but something about it just kind of feels like it would cut you if you weren’t careful. But enough of my opinion, let’s get into the watch which, according to Cartier, is made unique and a vital evolution of the Tank thanks to its so-called “chain-link bracelet” which doesn’t quite describe the effect nearly as well as the other, more popular analogy – the bracelet, with some clarity, resembles the tracks of the WWII tanks for which the case shape was named. Under those contextual conditions, the design feels a lot more natural, but holistically speaking, it doesn’t achieve anything functionally that couldn’t be achieved by another member of the Tank family, and maybe that’s why it fails to resonate with me so completely. The Tank Américaine, much like it’s obvious sibling the Tank Cintrée, is an elongated version of the more standard Tank shape. Where this model differs from the Cintrée, though, is in the dial – the Cintrée features a dial that is hyper-minimal, at least in terms of text, featuring only the numerals for 12 and 6. The Américaine, by contrast, features the standard Tank Louis dial, elongated in kind with the case, giving the whole thing a more stretched out sort of look. The case, too, is curved to more effectively trace the natural arc of most wrists. Cartier says that the model is “for connoisseurs only,” and you can almost see why – by looking similar to the iconic Tank, but not actually being that watch, the Américaine offers something that the more general market of consumer may steer clear of, but many a watch geek will undoubtedly find at least worthy of some examination. 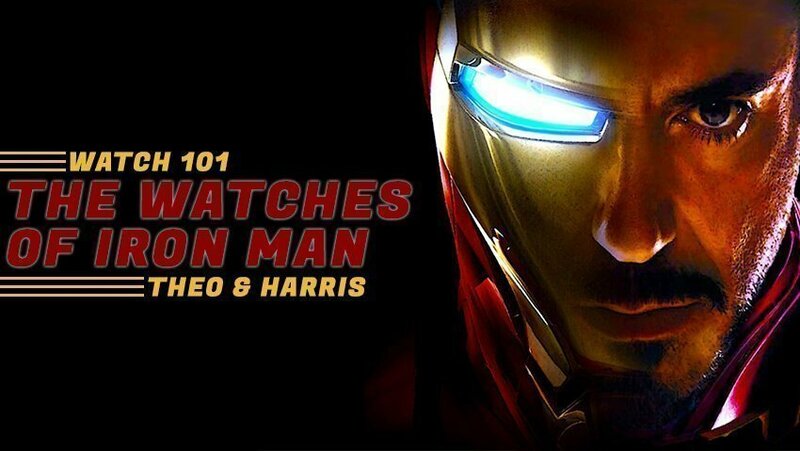 Alright geeks, that does it for this edition of “Watch 101.” Be sure to come on back tomorrow for some more awesome, watch-geeky content and, as always, keep it classy, watchfam!